Air Asia Piso Fare: Our P1 base fare sale to ALL our domestic destinations is still on! Hurry, book now for your flights from 5 June 2014 – 30 April 2015 at http://bit.ly/1fdM9LP! 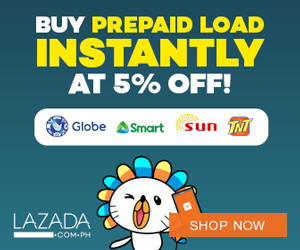 Fly to/from Manila (NAIA Terminal 4), Bohol (Tagbilaran), Boracay (Kalibo), Cebu, Puerto Princesa and Tacloban from as low as P538 one-way, ALL-IN FARE! 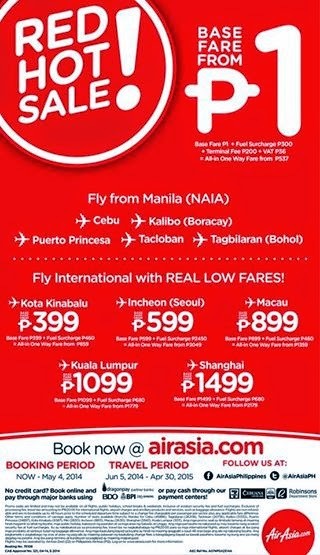 Also, go international and fly to/from Kuala Lumpur, Kota Kinabalu, Seoul (Incheon), Shanghai and Macau from as low as P860 one-way, ALL-IN FARE!